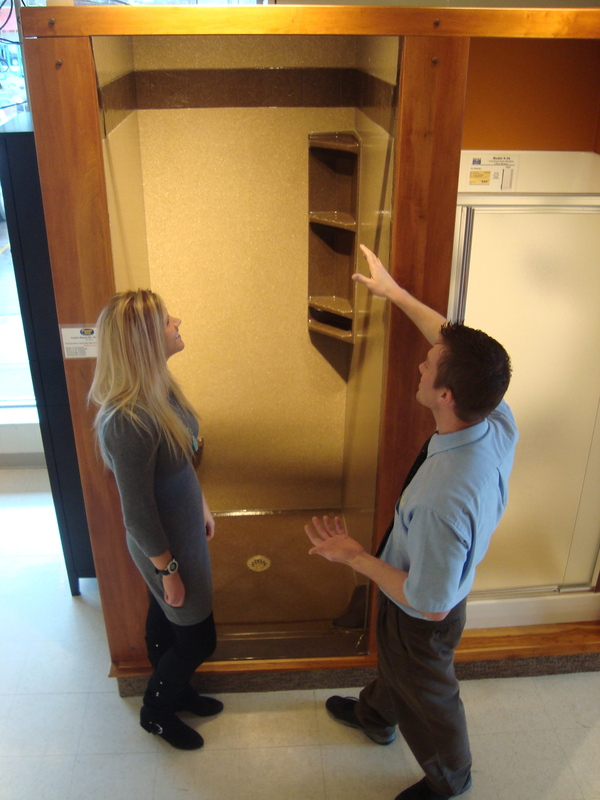 Visit the Handy Man showroom and we will walk you through the process of creating a shower unique to your space. 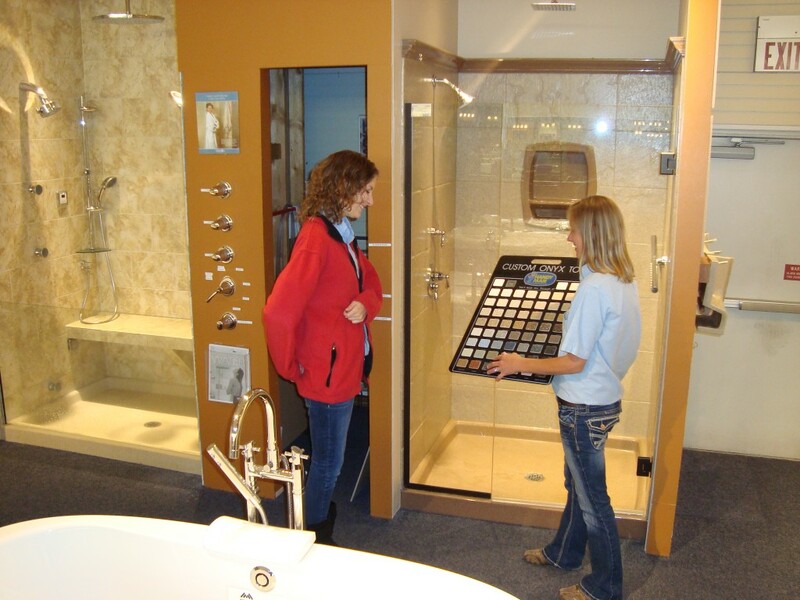 We will show you the different shower seats, floor styles, shelving units and wall textures that can be incorporated into your custom shower. 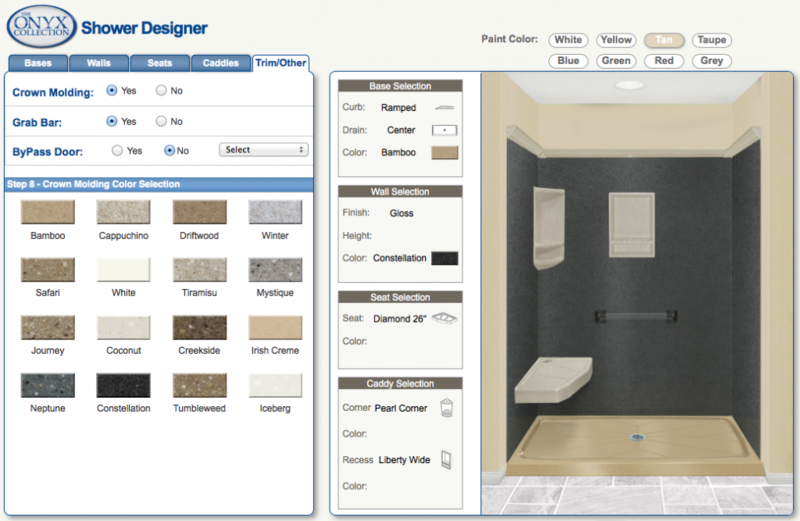 Don’t forget the 60+ different colors you can choose from to create a beautiful custom shower for your home. 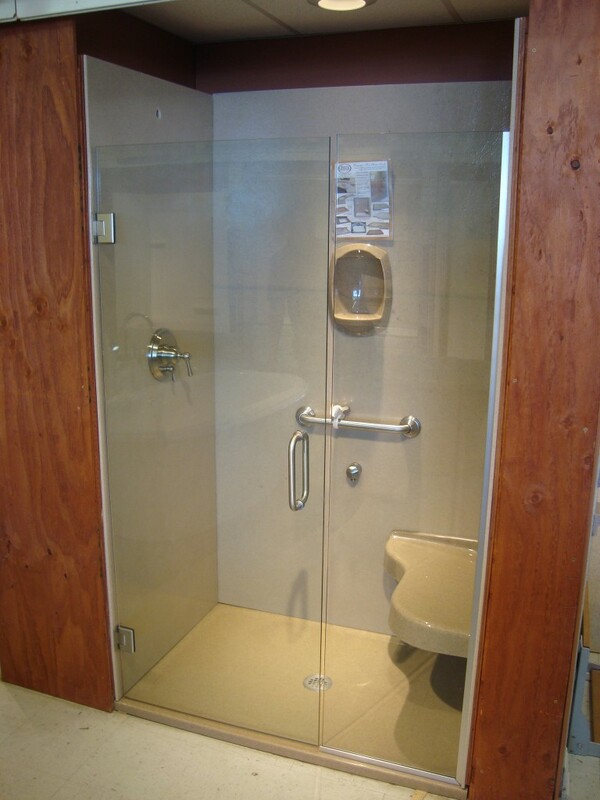 We stand behind our custom Onyx Shower products. They are guaranteed for life. The Onyx Custom Shower Collection gives you a choice of over 60 colors and 75 standard base sizes so you can create a shower that fits your needs perfectly. For a distinctive look, several different trim options are available, as well as contrasting stripes and borders and even graphic inlays to enhance the beauty and uniqueness of your shower. 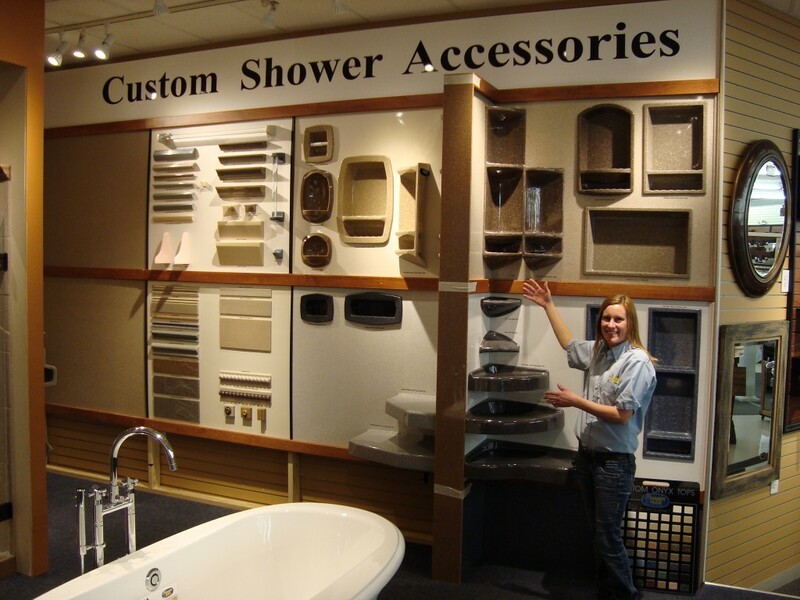 The Onyx Custom Shower Collection also provides a wide range of accessories including soap dishes, shampoo caddies, towel bars, shower seats and even foot shelves, displayed on the accessories page. When planning your shower, it is important to order all the different components, trim and accessories at the same time, to assure proper fit and color match. Customers who have ordered these one of a kind showers have been very pleased with their choices. Come in to Handy Man today to create your own! !